Harry went on a nice walk this morning. He met some new dogs including one that the owners thought was going to be naughty and jump. But he didn't jump so they went away very happy with their young dog. 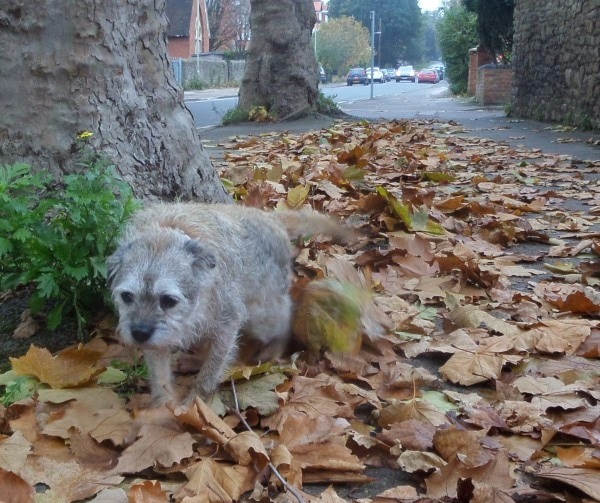 Harry also kicked up lots of fallen leaves, and smelled lots of interesting smells. He is now asleep and could be reliving the highlights in dreamland. Glad you had a swell time Harry. Fall is the set season.